We leverage our global network to help manufacturers navigate unfamiliar terrains in some of the world’s most dynamic & fastest growing markets. Projacs International is the largest Pan-Arab project management firm having 25 offices in 21 major cities in the world with 600 professional staff. We are the Financial Advisory Group Ltd,based in Cairo Egypt and established by a group of former bankers and business developers. Mordor Intelligence is a global market research consulting firm offering in-depth market analysis reports and consulting services. 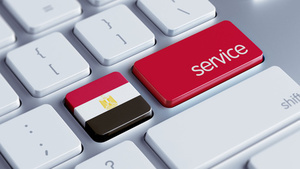 We provide Business "Matchmaking" services in Egypt, MENA & GCC. We represent Int’l opportunities and Franchises in Fashion/Accessories/Beauty/F&B. Acme BPO Consulting helps companies outsource process quickly and efficiently. Coworking in Cairo, we established shared offices, coworking space, creative work environment for solopreneurs, freelance, start-ups and consultants.